Chapels is a fabulous oriental cafe and store on Whatley Crescent in the recently revived end of Maylands. It’s decor and food has a Chinese flair, and they have a beautiful range of teas available to purchase and try. 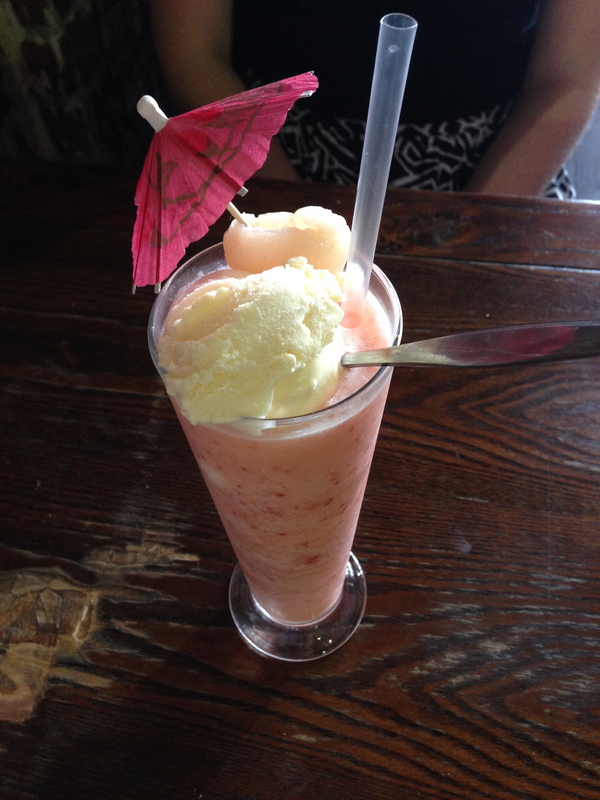 They have a large range of frappe’s so I tried the alligator which consisted of strawberry and lychee. It was fresh and unique, plus it’s hard not to love when it arrives in a tall glass with a little umbrella. For breakfast we ordered a fruit salad and pandam pancakes. The fruit salad was good, but nothing spectacular. The pancakes however were brilliant. 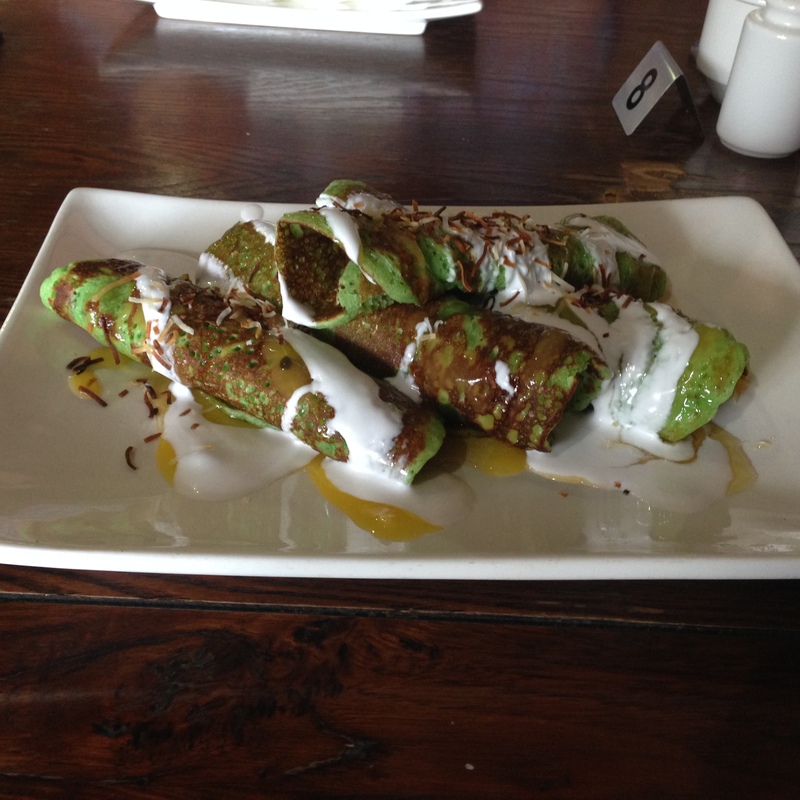 They are made with pandan, which I believe is a tropical plant, which gave them an interesting green colour. The pancakes were served with coconut cream and a little roasted coconut, creating a creamy texture with a bit of crunch for the topping. The pancakes themselves were of a generous serving size which I was unable to finish, and they were good in flavour and texture. All in all it was a pretty pricey, but satisfying meal and I would go back. The macaron I bought to have at home with me was equally delicious, though a little large to be authentic. When you’re next in the mood for both furniture shopping and breakfast (and you can’t be bothered with Ikea) give Chapels a try! 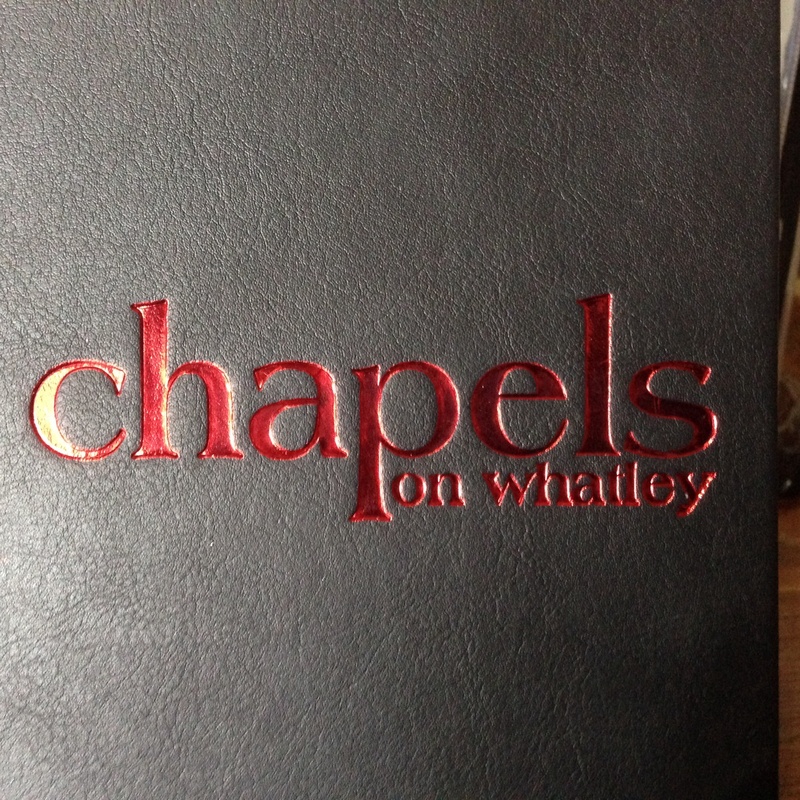 Have you been to Chapels? What did you think? Let me know in the comments! A nice area of town. They say the natives are civilised. Previous PostCiao Italia, finally we say hello.